£100 HSCB BOND. Deep pink. 195X156mm. 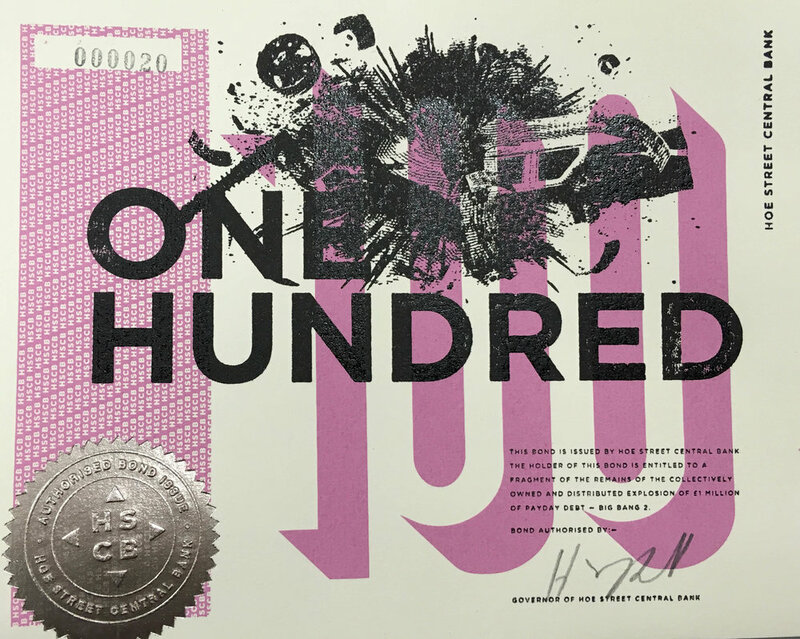 Screen print, letterpress, foil block, company seal. Somerset velvet white 250gsm paper. Gilt edge.